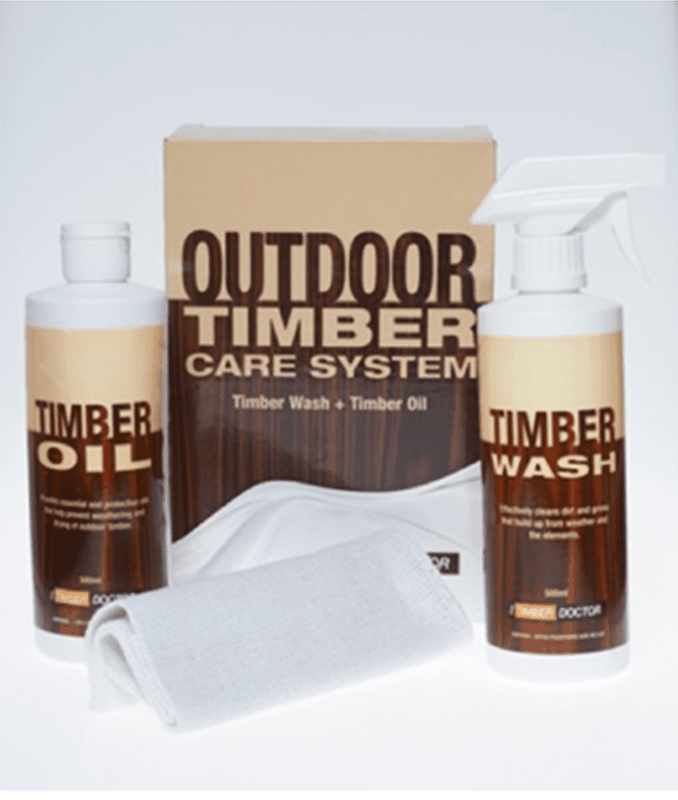 The Timber Doctor Outdoor Timber Care Kit effectively removes grime and build up, while nourishing timber and concealing the appearance of fine surface scratches. It is formulated for use on finished, sealed wood designed for outdoor use. The Outdoor Timber Care Kit products will not only enhance the appearance of your outdoor timber furniture, but will also give excellent protection against the elements. The products have been formulated to suit our extreme climate, and when used as directed, will help protect against UV, wind, rain damage (and anything else Mother Nature can inflict on your outdoor furniture). Suitable for use on both outdoor and partial outdoor timber furniture.